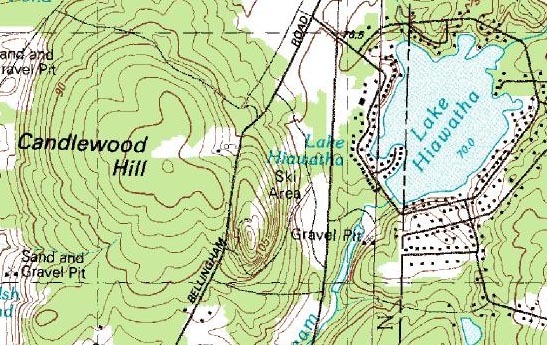 Located on the eastern slope of Candlewood Hill, a ski area referred to as Hiawatha was at some point partially constructed. 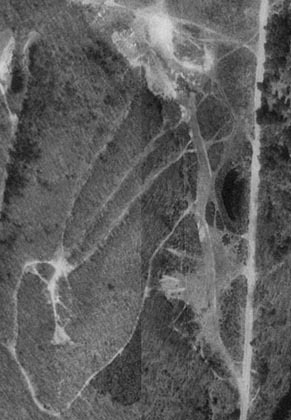 Displayed on the 1982 USGS topographic map, trails were cleared. It is unknown if any other facilities were constructed, or why the development was cancelled. The trails cleared for the Hiawatha Ski Area are still visible.